Home Invasion – are you PREPARED? Home / Blog / Home Invasion – are you PREPARED? Home invasions happen every 18 seconds in the United States and 30% of burglars enter through an unlocked door or window. 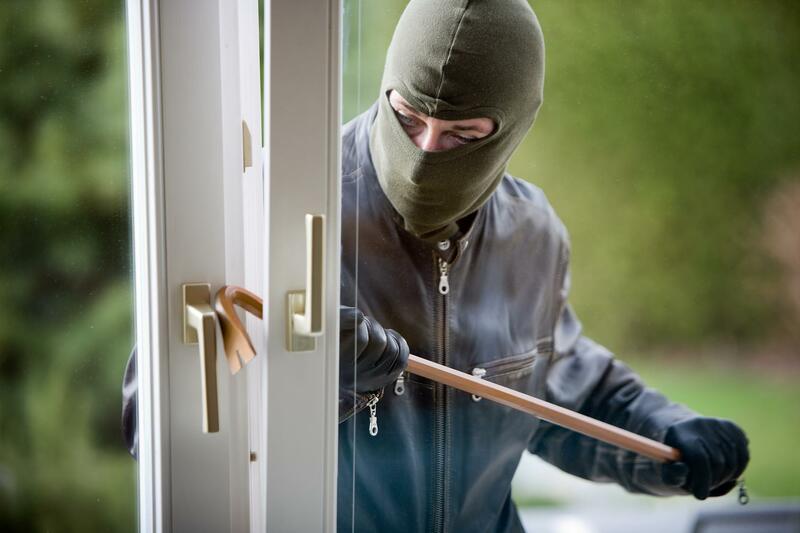 Most criminals can burglarize a home in less than 10 minutes and most happen between 10am and 3pm. There is someone home during 3 out of every 10 burglaries. When it comes to home invasion the most important thing you can do is have a plan and be prepared. It is important for your safety and the safety of your family to have a plan and practice it just like you would a fire drill. I have included some tips for you to be aware of to help make you and your family safe. Not everyone has a safe room but everyone can have a safe place. Work with your children and teach them to crawl under their bed and stay there until you and only you come and get them. They will be at ease if they know they have a safe place. Have a code word to alert the children to go to their safe place. There are many other things you can do to help prevent a burglary. Home security systems are one of them. Criminals tend to steer clear of a home with a security system or looks to have a security system. If you have one put the signs and stickers up this is a real deterrent. Plant thorny bushes in front of windows this deters the criminals from being getting up close to the windows to look inside and to try and see if the window is open. Place a wooden dowel rod or broom stick in the track of the sliding door to prevent opening. They would rather open windows versus breaking them because the noise draws attention. Make your home look occupied. Burglars are less likely to break in if the think someone is home. Lock all outside doors and windows before you leave the house or go to bed. Make it difficult to break in install deadbolt locks and lock the door when you are home. Refrain from posting on Social Media when you are going to be gone or even pictures of new electronics or jewelry. Don’t check in at businesses away from your home. Wait until you get home to post your vacation pictures. Do not make yourself a target. If you lose your keys or move in to a new home replace the locks insuring someone hasn’t helped themselves to a set of keys. Get a dog. Most burglars would run away if they came face to face with a large dog. Barking draws attention. Do your best to be prepared. Delivered by serving firefighters, these professional and realistic courses will teach how to deal with fire hazards, along with the risks involved and effective fire safety, promoting confidence and knowledge within your workplace. We create and provide practice of the emergency procedures to be used in case of fire. We are a Certified Fire Protection & Safety Specialist which provides different services to small, medium and large size enterprises. We are specialized in the installation of Fire Detection Systems, Sprinkler Systems, Fire Fighting Equipment, Home and Business Automation Systems. © 2016 CFS-Solutions, Solutions that saves lives.